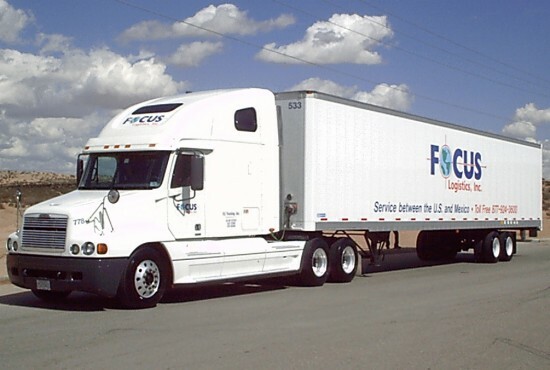 Nationwide Trucking - Focus Logistics Inc.
Focus Logistics offers the flexibility of two models of Trucking Services: Expedited and SelectSaver. Expedited LTL: Door-to-Door less than truckload services offering Guaranteed time definite delivery. This service allows you a cost-effective alternative to Air Freight. SelectSaver LTL: Door-to-Door less than truckload services offering a slightly longer transit time than Expedited Service and a greater cost benefit. We also offer Full Tuckload Services! All our trucking services provide you with inbound visibility, this guarantees you will know the expected day of delivery, thus allowing you to be better prepared to manage your business.